In just a little bit, I'll be taking my boys to the Phillies game over at JoeRobbie/ProPlayer/Dolphins/Dolphin/Landshark/SunLife Stadium, or whatever the hell they call it these days. Should be a great game with Roy Halladay pitching and the Phils in first place by two and one half games over Atlanta. Last time I went, at the end of May, Roy pitched a Perfect Game. So my kids expect nothing less tonight, really! 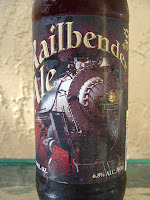 Tonight I'll be drinking Railbender Ale brewed by Erie Brewing Company in Erie, Pennsylvania. This one came back from my Pittsburgh trip last month. The cap says "Home of the taste of real beer!" 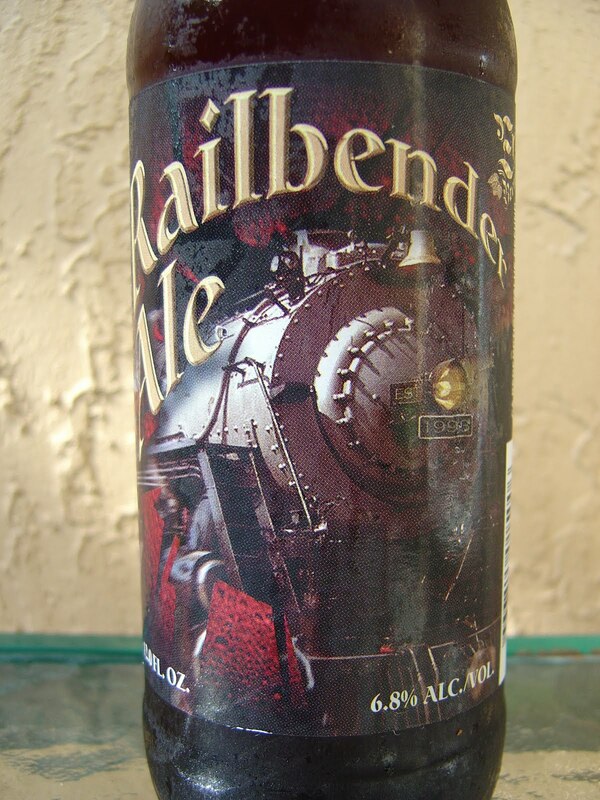 while the label depicts a close-up of a train engine. Sweet aroma, sugar and caramel. 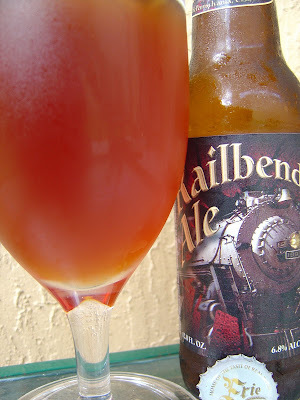 Very similar flavors--sweet, malty caramel and a touch of bread. Smooth texture. Lightly spicy toward the end as well. The carbonation and body are both medium. The 6.8% alcohol was surprising because I didn't taste it even slightly. In the end, good flavors, just too sweet, and fairly one-dimensional. This one didn't blow my mind either - had it on a bus trip to Erie. I think I remember digging the brews I had at The Brewerie more than those at Erie Brewing Co., overall. Yeah just a boring beer.